It’s that time of the year where shopping frenzy is at it’s highest and for good reason. It’s Christmas and everyone’s out to get the best products at discounted prices. Today i will be going through the best oral b toothbrushes of 2017 and how they compare against one another so you have a better idea of which one will be best for you or as a gift for someone. After all the oral b toothbrushes sale is now on. This is one of the basic models but don’t be fooled it is on the list because it is effective and works, SIMPLE. It looks good, feels comfortable in the hand, cleans effectively and has a decent battery life. Everything that is expected of a electric toothbrush. The toothbrush is great for the average user but if you are someone who has sensitive gums or are in need of advanced dental help then this toothbrush is not for you. 1 cleaning mode – No complicated settings to choose from, just turn on and start brushing. Perfect for a busy lifestyle. Battery life – upto 7 days usage time is not good compared to some of the other models. No pressure sensor – this was one of the main deal breakers for me personally. There is nothing to tell you weather you are brushing too hard or not which could damage teeth enamel in the long run. 1 cleaning mode – I put this in the pros however for some people this can be a negative point. It means there is no variety or setting to choose from if you have other underlying issues such as sensitive teeth etc. Good entry level brush to get you into the world of electric cleaning. Easy to use and simple features make it a quick 2 minute job. This electric toothbrush is in some ways a big step up in terms of technology and features from the oral b 1000. It offers a very good all round cleaning experience, has a good battery life and Bluetooth connectivity. More features means it can be used for a wide variety of issues. Multifunctional 360 smartring visible from every angle while brushing. It lets you see feedback from the pressure sensor, brushing timer and bluetooth connection. Multiple cleaning modes – this is one of the main selling points about the brush. No matter what type of dental problem you have, one of the 5 cleaning modes will do the job. Battery life – A change in ion lithium batteries means an improved battery usage time of 18 days. Pressure sensor – this features alerts you when you are using too much force on your teeth. A red light will start to flash alerting you to reduce pressure. 16 degree angle – the cross action head is designed for cleaning tooth by tooth and it also gets in between them to get rid of more plaque. Bluetooth connectivity – This is a double edged sword, some people will love it but others will see it as a gimmick and a waste of time. There’s no doubting though that this is a great concept that has the ability to enhance your experience. Light too bright – Some customers mentioned that the light on the brush head is too bright. This is especially a problem at night time when you are brushing in a dim room, the light will irritate the eyes. This however is an issue for a small number of people so it shouldn’t discourage you from researching the brush further if it seems right for you. A good all round brush that has features to suit everyone’s needs and a good battery life will ensure long term usability. Not really for kids under 8 years old due to the advanced technology. Position detection system which uses your smartphone for facial recognition to help you know where you have brushed. Never miss a spot again. 6 cleaning modes – More options means that you are all covered when it comes to any particular area that you are concerned about. From sensitive mode to whitening mode you will be happy with the results. Also good if you are sharing the brush handle as each person can be catered for. Pressure sensor – This is an excellent essential feature, the brush will detect if you are using too much force and will turn the inbuilt sensor red to warn you and at the same time will automatically slow the brush speed down to protect your teeth. In my opinion this technology should be standard with all toothbrushes. It is that great. Battery life – Not as good as the phillips sonicare brushes but with a 12 day usage time it is better than some of the other oral b toothbrushes. Travel case – A great addition for the regular traveller. It keeps the brush safe and avoids any potential breakage. Price – It isn’t cheap and i’m sure you are not surprised. $139.95 is alot for a toothbrush but when considering what you are getting for the price it is quite reasonable. If you know you will be using all the features than it makes it well worth it. If however you are not interested in the extra features then other cheaper brushes will be more suited for you. App and position detection technology – No doubt that this technology is helpful and encourages you to maximise your dental health. However it is time consuming to initially get it set up and seems like a long process for a 2 minute brushing time. You must be really excited and passionate about your teeth to get any use out of it. 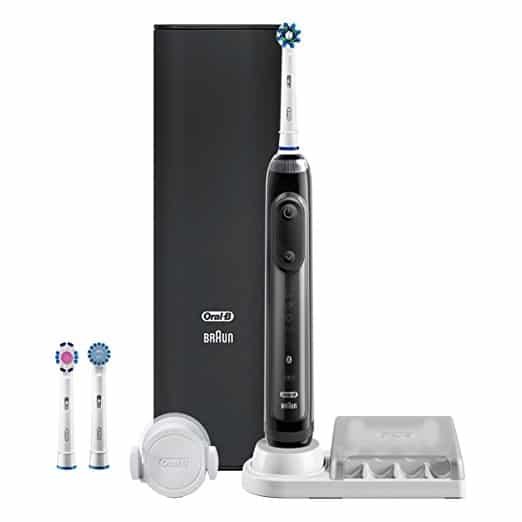 This is an excellent toothbrush that caters for everyone and it comes with alot of extra features that previous models dont have such as 3 brush heads for a more varied experience. Some of the digital features like app detection may not be for everyone and it is on the higher end of the price range. It’s a good upgrade version if you want something extra or could be a nice Christmas gift for someone. This toothbrush is used by me and it has not let me down yet and hopefully it will continue to give me great looking teeth for a long time to come yet. I have written a full review on this and also have a video review. Battery life – upto 16 days usage time makes this one of the best brushes for usability. Design – A solid design which feels good in the hand and very comfortable to use. Cleaning modes – This is available on other ranges aswell and is great for individuals who need more than 1 aspect of their mouth cleaning. Pressure sensor – This is an essential feature, the brush will detect if you are using too much force and will turn the inbuilt sensor red to warn you. Bluetooth connectivity – As with the other brushes, this feature will be good for some and a waste of time for others. In my opinion though, this feature is here to stay weather you like it or not. This is an excellent brush which again caters for most people and their problems with the different cleaning modes. It is the cheapest model which comes with bluetooth connectivity and lasts a long time. A solid all round brush good for yourself or as a present for someone you care about. 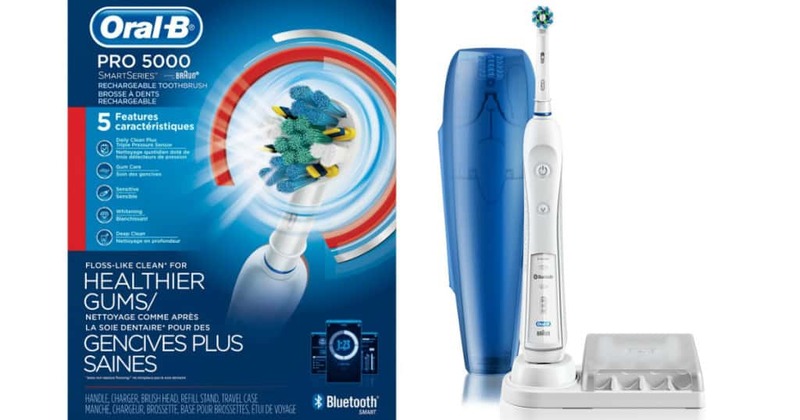 This electric toothbrush has been a number one seller on amazon and is currently their choice. It has a wide variety of features and contents that make it great value for money. If i didn’t have the oral b 5000 i would be the owner of the 7000 model. It is exceptional. It has a rechargeable battery that guarantees you 40 minutes of usage time. Built with 6 cleaning modes: daily clean, gum care, sensitive, whitening, deep clean and tongue cleaner. A visible pressure sensor which indicates a signal on how hard you are using the toothbrush. 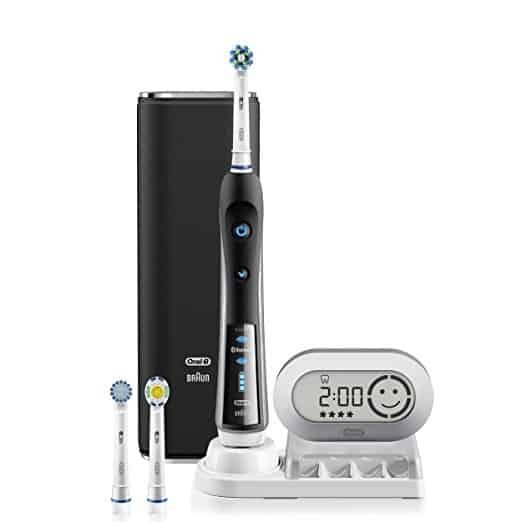 It has a wireless smart guide which helps you maximise your brushing routine. 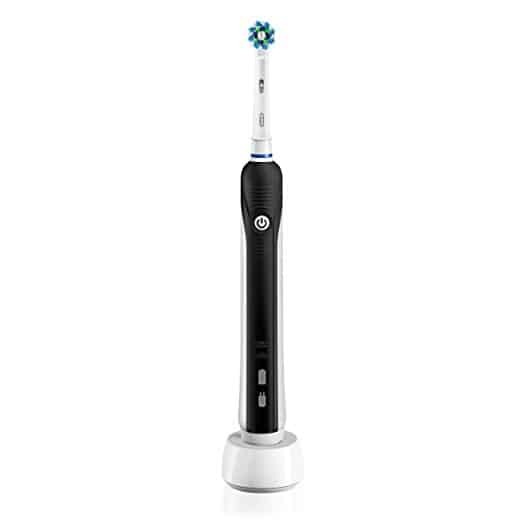 It has a 3D cleaning oscillate, rotate and pulsate that break up and remove more plaque than an ordinary toothbrush. 6 Cleaning modes – alot of options which caters for different users. Timed clean – A visual display in the form of the wireless smart guide will let you know when to change the quadrant and also when your 2 minutes are up. Pressure sensor – A sensor on the brush will illuminate red if you are brushing too vigorously. It encourages you to lessen the pressure for a better clean. Premium travel case – wherever you go you can be assured that your brush will be safe from any damage that might otherwise happen. There have been complaints that the toothbrush power cuts off and resumes when in use which kind of disrupts the brushing sequence. this however has only been noted by very few people. It cannot be used by children below 3 years of age due to the electric technology. It is a little bulky and thick at the handle so if you have small hands it can be a bit awkward but with time you will get use to it. Makes brushing more fun and leaves your teeth in tip top condition. For me these are the top 5 toothbrushes of 2017 and i base that on my experience, other peoples reviews and looking at all the features vs the cost of the brushes. Nothing else comes close to these. If you asked me the question on which one i would buy, i would say the oral b 7000, just because of the value it provides at a decent price. I look at it more from a investment point of view rather than a cost. Your teeth will be in much greater condition once you start using electric toothbrushes. If you have any other toothbrushes that you think should be in the list then please leave a comment below. I’m sure you might disagree with some of my choices but i think that’s the whole point of this. We want to buy the best electric toothbrushes and a good discussion will lead us to this. Love the site, love the content. I am planning on retiring my old manual toothbrush and investing in an automatic one for better cleaning and a whiter smile. I like how you break down the different aspects of each brush into pros and cons that anyone can understand. 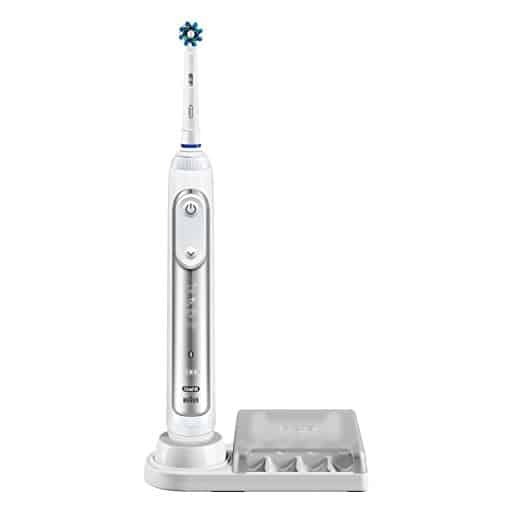 The Oral B 7000 does seem amazing, but it also seems like I would be paying for a bunch of functions I would either never use or never figure out how to use. I think the 5000, the one you use may be the one for me, as the 6000 doesn’t seem to add anything of value to me. So I will add it to my Christmas list and tell my family about your links! Great article! P.S. I noticed you used “weather” instead of “whether” many times throughout the article, might consider switching it for a smoother read. Great job otherwise! hahaha. I was actually contemplating if i was using the write language. Now i know i wasn’t. thanks for that. Onto your point about the brushes, yes i totally agree with you on the point about features. 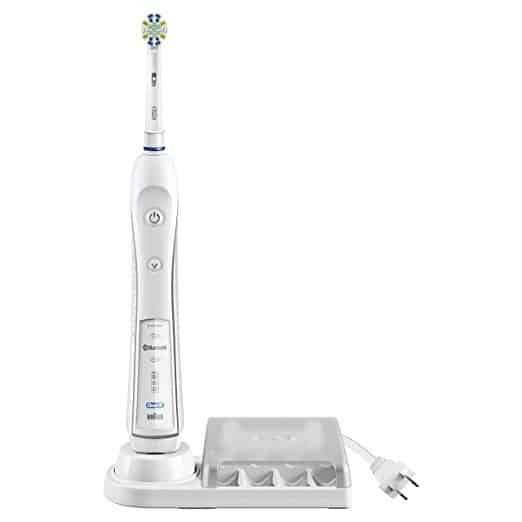 If you are not going to be using any of the bluetooth or apps then i would recommend the oral b 5000. It still has the bluetooth app but it costs less than the others. 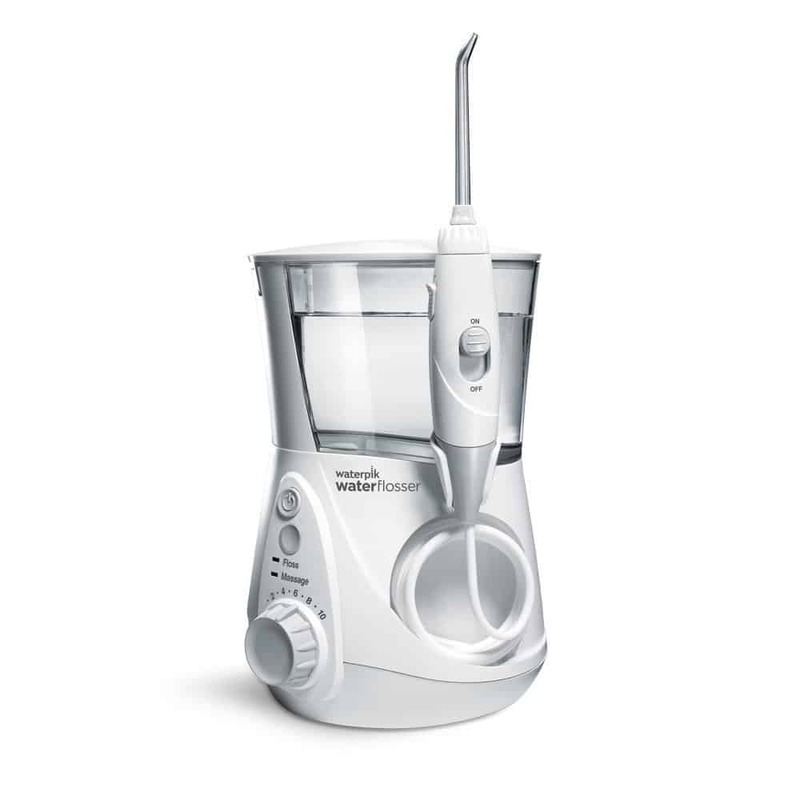 The oral b 1000 is the cheapest but it doesn’t give you the option to change the cleaning modes which i think is necessary. At the end of the day they are all great toothbrushes and also great as gifts. Perfect time to buy aswell due to the price reductions. Thanks for this comparison review! I currently just use a regular toothbrush but have been thinking about switching to electric after staying with my parents for a few day and seeing theirs. I’m very health conscious and am looking for an eco friendly, BPA free toothbrush. Do you know of any BPA free electric toothbrushes? there’s nothing wrong with manual toothbrushes in that they do the job they are suppose to. They just dont do it as effectively as electric toothbrushes and that’s why i am a big advocate of them. Coming to your question, i am very sorry but i don’t have much knowledge of BPA free toothbrushes and cannot give you any recommendations. Could you explain a bit more about what BPA is and how it is related to toothbrushes. I have never used an electric toothbrush before but I have a friend that have been telling me for years that it is the best. I heard Oral B is the best brand, so I’m happy I came across your review! I love the Oral B Pro 7000 SmartSeries but may end up getting the Oral B Black Pro 1000, because I’m on a fix income right now. It is still a great toothbrush much better than the one am using right now. Mr. Teeth Man 🙂 which one do you use? HI Sheree, thanks for dropping by. All the toothbrushes i mention in the review are legit. I put a couple in there at different price points because i knew not everyone can afford the higher end brushes. The Oral B Black pro 1000 is still one of the best beginner/entry level electric toothbrush if your tight with money.